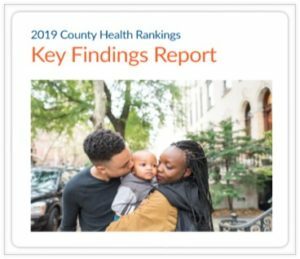 LOS ANGELES – Los Angeles County ranks among the California counties with the lowest rate of premature death, but the rate among black residents is nearly twice as high, public health officials said this week. In addition to beating out 42 of California’s 58 counties, Los Angeles County’s rate of premature death is below that of the three other most populous counties nationwide — Cook County, Illinois; Harris County, Texas; and Maricopa County, Arizona. — injury deaths, at 38 per 100,000 residents. The rate of uninsured residents has also decreased faster in Los Angeles County than statewide or nationwide. However, the report found many of the indicators vary widely based on race. Other concerns raised by the report include a high rate of preventable hospitalizations of Medicare beneficiaries and a low rate of flu vaccination involving those same residents. High housing costs and long commute times in Los Angeles County were also associated with health risks. 3 comments for "L.A. County boasts low rate of premature deaths, but notes racial disparities"
Pushy liberals over load already crowded US cities with food stamp refugees, mental outcasts and homeless drifters and then gripe about population differences and “disparities”. Bull, this is just a fake news report to hide the hoffific living conditions in Los Angeles, homeless, poverty, gangs etc… the mayor did someone a favor for this one, I bet he is soar all over his body mouth and rear. Bull, this is just a fake news report to hide the hoffific living conditions in Los Angeles, homeless, poverty, gangs etc… the mayor did someone a favor for this one, I bet he is soar all ovet, mouth and rear.